This page attempts to enlist the known historical manuscripts of Quran. Codex Parisino-petropolitanus (left: recto of the first folio), possibly the oldest extant Quranic manuscript, dated to the 7th or 8th century. The largest part of the fragmentary manuscript are held at the Bibliothèque nationale de France, Paris, as BnF Arabe 328(ab), with 70 folia. Another 46 folia are kept in the National Library of Russia in Saint-Petersburg. Two additional folia have been preserved, one kept in the Vatican Library (Vat. Ar. 1605/1) and the other in the Khalili Collection in London (KFQ 60). Taken together, the extant manuscripts cover about 45% of the text of the Quran. Sana'a Manuscript is one of the oldest Quranic manuscripts in existence. It was found, along with many other Quranic and non-Quranic fragments, in Yemen in 1972 during restoration of the Great Mosque of Sana'a. The manuscript is written on parchment, and comprises two layers of text (see palimpsest). The upper text conforms to the standard 'Uthmanic Quran, whereas the lower text contains many variants to the standard text. An edition of the lower text was published in 2012. A radiocarbon analysis has dated the parchment containing the lower text to before 671 CE with a 99% accuracy. Sadeghi, Behnam; Bergmann, Uwe (2010). Tübingen fragment In November 2014, the University of Tübingen in Germany announced that a partial Kufic[disputed – discuss] manuscript in their possession (Ms M a VI 165), had been carbon dated (with a confidence of 95%), to between 649 and 675 CE. The manuscript consists of the Quranic verses 17:36, to 36:57 (and part of verse 17:35). Topkapi Manuscript is an early manuscript of the Quran dated to the late 1st century / early 2nd century Hj. (i.e. early to mid 8th century CE). The Topkapi manuscript is an early manuscript of the Quran dated to the early 8th century. This manuscript is kept in the Topkapi Palace Museum, Istanbul, Turkey. It was wrongly attributed to Uthman Ibn Affan (d. 656), but judging from its illumination, the Topkapi manuscript does not date from the period (mid 7th century) when the copies of the Caliph Uthman were written. The Blue Qur'an (المصحف الأزرق) al-Muṣḥaf al-′Azraq) is a late 9th to early 10th-century Fatimid Tunisian Qur'an manuscript in Kufic calligraphy, probably created in North Africa for the Great Mosque of Kairouan. It is among the most famous works of Islamic calligraphy, and has been called "one of the most extraordinary luxury manuscripts ever created". Although scholars generally agree on its provenance and dating, recent scholarship by Alain George dates the manuscript rather earlier, to the early Abbasid caliphate. The Samarkand Kufic Quran, preserved at Tashkent, is a Kufic manuscript, in Uzbek tradition identified as one of Uthman's manuscripts, but dated to the 8th or 9th century by both paleographic studies and carbon-dating of the parchment. Radio-carbon dating showed a 95.4% probability of a date between 795 and 855 CE. The Birmingham Quran manuscript is a parchment on which two leaves of an early Quranic manuscript are written. 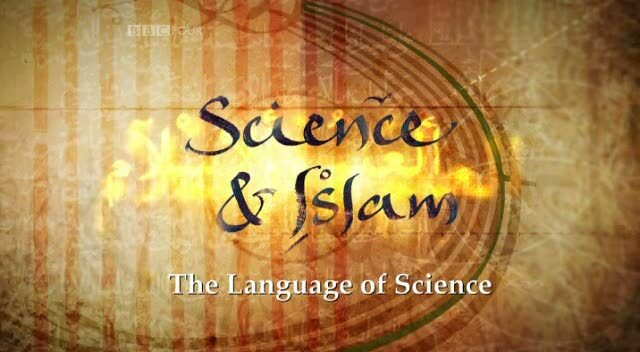 In 2015 the manuscript, which is held by the University of Birmingham, was radiocarbon dated to between 568 and 645 CE (in the Islamic calendar, between 56 BH and 25 AH). Between 1537 and 1538 Paganini and his son published what was probably the first printed edition of the Quran in Arabic. This work was likely intended for export to the Ottoman Empire, with which Venice had extensive trade ties. In the end, the venture was unsuccessful; the entire print run is reported by various contemporaries to have been lost, though the explanations for the disappearance vary widely. However, one copy of this printed Quran was found in 1987 in a monastery in Isola di San Michele (Venice). Ibn al-Bawwab Quran Manuscript is a fully-surviving Quran in cursive style (Nakshi script). It is currently placed in the Chester Beatty Library, Dublin. This Manuscript was written by an Arab Calligrapher, Abu al-Hasan Ali ibn-Hilal, commonly known as Ibn al-Bawwab in Baghdad. This manuscript dates back to 391 Hj. Nuovo, Angela (2013). The Book Trade in the Italian Renaissance. p. 79. ISBN 978-90-04-24547-1. Rippin, Andrew (2009). "Review: La transmission écrite du Coran dans les débuts de l'islam: le codex Parisino-petropolitanus, by François Déroche". Journal of the American Oriental Society. 129 (4): 706–708. JSTOR 25766923. Small, Keith E. (2011). Textual Criticism and Qur'an Manuscripts. Lexington Books. ISBN 9780739142912. Déroche, François (2009). "English Summary" (PDF). La transmission écrite du Coran dans les débuts de l'islam: le codex Parisino-petropolitanus. Brill Publishers. ISBN 9004172726. Dutton, Yasin (2001). "An early muṣḥaf according to the reading of Ibn ʻĀmir". Journal of Qur'anic Studies. 3 (1): 71–89. doi:10.3366/jqs.2001.3.1.71. Powers, David S. (2011). Muhammad Is Not the Father of Any of Your Men: The Making of the Last Prophet. University of Pennsylvania Press. ISBN 9780812205572. "Virtual Manuscript Room". University of Birmingham. Retrieved 25 July 2015. "Birmingham Qur'an manuscript dated among the oldest in the world". University of Birmingham. 22 July 2015. Retrieved 22 July 2015. "'Oldest' Koran fragments found in Birmingham University". BBC. 22 July 2015. Retrieved 22 July 2015. Martin, John Jeffries (1993). Venice's Hidden Enemies: Italian Heretics in a Renaissance City. University of California Press. p. 33. ISBN 0-520-07743-1. Norman, Jeremy (26 May 2014). "First Printed Edition of the Qur'an in Arabic, of Which One Copy Survived". HistoryofInformation. Retrieved 27 January 2015. "Folio from the Blue Qur'an (Probably North Africa (Tunisia)) (2004.88)". Heilbrunn Timeline of Art History. New York: The Metropolitan Museum of Art. September 2012. Retrieved 28 April 2013. George, Alain (1 January 2009). "Calligraphy, Colour and Light in the Blue Qur'an". Journal of Qur'anic Studies. Robinson, G., The Cambridge Illustrated History of the Islamic World, Cambridge University Press, 1996.